We are obsessed with hair styled up in a pony for a chic and effortless look whatever the occasion. Here at IKRUSH, we stock the most amazing curly pony to help you all achieve your dream hairstyle in one simple step. Some girl’s often find that a pony hairstyle is difficult to get ‘on point’. 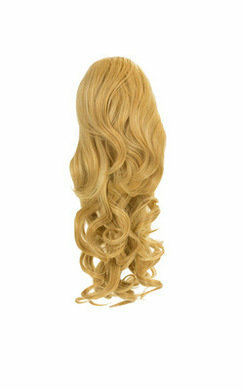 With our amazing clip in curly pony you can not only add length to your hair, but so much extra volume too! This makes it so much easier to style and makes your look more put together and flawless.